New festival Houghton is set to bring some of the best names from house and techno to a picturesque location in Norfolk next August, all under the curatorial eye of fabric resident Craig Richards. 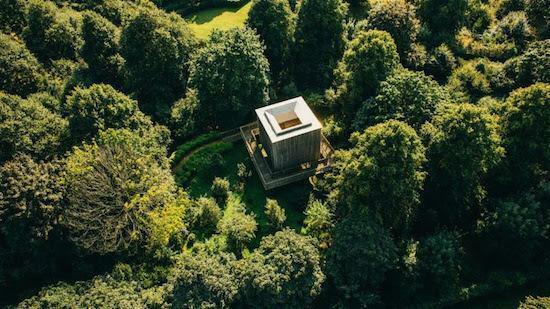 For the festival's inaugural edition, which is produced by the team behind the much-respected Gottwood, he has tapped up Ricardo Villalobos, VILOD (the live project of Villalobos and Max Loderbauer who will make their UK debut), Nicolas Jaar, Floating Points, Ben UFO, Midland, Andrew Weatherall, Sonja Moonear, Roman Flügel, Adrian Sherwood, Nightmares On Wax and more. More names are to be confirmed in the coming months too. On the festival, Craig Richards said: "Some while ago now the guys from Gottwood approached me to curate something new. I've always seen myself as more of a collector than a curator. I'm also much more of an artist than an organiser. I made it clear that the people invited to perform would be chosen on merit. All will be chefs not waiters. All are artists whose talent I value immensely. It is my intention that the festival represents the very best in electronic music and those performing are closest to my heart and record box." The festival will take place from August 11-13 in the stunning grounds of Houghton Hall with careful attention to detail set to be paid to the festival's programming and many of the acts booked to play extended sets. Tickets and more information can be found here.